A special issue of Centaurus on “The promises of science. Historical perspectives,” guest edited by Annette Mülberger and Jaume Navarro includes an article of interest to AHP readers. Here, I take a closer look at a manifesto in the history of psychology: the introduction to the book entitled “La psychologie anglaise contemporaine.” It was published in 1870 and written by the French psychologist and philosopher Théodule Ribot (1839–1916). First, I review the use of the label “manifesto” in the historiography of psychology. Then the aim, rhetoric, and arguments of Ribot’s text are examined, as well as the intellectual atmosphere surrounding it. Through this research, I hope to contribute to a better understanding of the aims and some immediate reactions to Ribot’s text. My analysis focuses on his understanding of psychology as “independent science.” Ribot’s manifesto contains criticism of the prevalent philosophies of his time, namely eclectic spiritualism and the positivistic schools. Within this setting, Ribot tried to present his psychology as ideologically neutral, aiming at revealing “psychological facts.” My interpretation portrays Ribot’s tone as optimistic, framed in terms of a promise and an invitation; I see his text as primarily an attempt to attract collaborators through a broadly defined scientific project. He envisaged an almost boundless field of empirical research, based on the promise of intellectual freedom and scientific progress. A great many theorists have argued that the defining feature of modernity is that people no longer believe in spirits, myths, or magic. Jason ?. Josephson-Storm argues that as broad cultural history goes, this narrative is wrong, as attempts to suppress magic have failed more often than they have succeeded. Even the human sciences have been more enchanted than is commonly supposed. But that raises the question: How did a magical, spiritualist, mesmerized Europe ever convince itself that it was disenchanted? Josephson-Storm traces the history of the myth of disenchantment in the births of philosophy, anthropology, sociology, folklore, psychoanalysis, and religious studies. Ironically, the myth of mythless modernity formed at the very time that Britain, France, and Germany were in the midst of occult and spiritualist revivals. Indeed, Josephson-Storm argues, these disciplines’ founding figures were not only aware of, but profoundly enmeshed in, the occult milieu; and it was specifically in response to this burgeoning culture of spirits and magic that they produced notions of a disenchanted world. 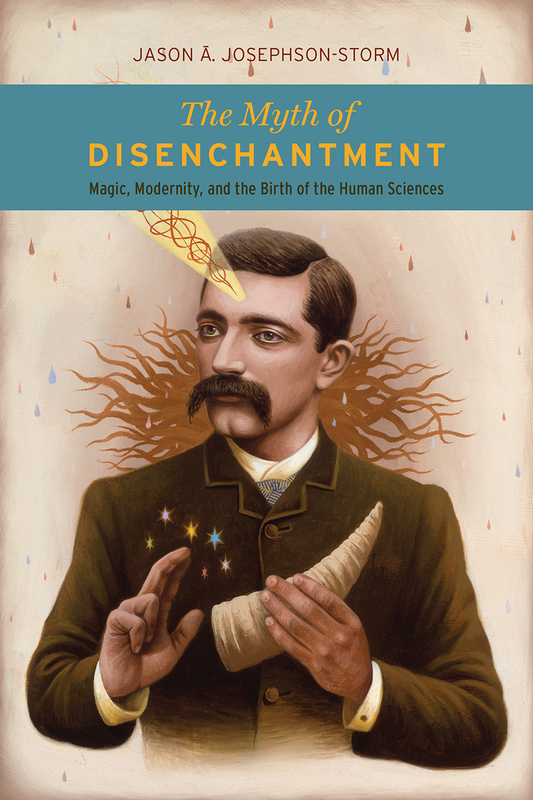 By providing a novel history of the human sciences and their connection to esotericism, The Myth of Disenchantment dispatches with most widely held accounts of modernity and its break from the premodern past. A new issue of Revista de Historia de la Psychología is now available online. Articles in this issue explore the work of Charles Richet (right), Gustav Ichheiser, José Ingenieros, and Rudolf Allers, as well as the history of pedology in Russia and Bulgaria. Titles, authors, and English-language abstracts follow below. The phenomenon known as spiritualism reached its maximum popularity and expansion in the period from the late nineteenth century and early twentieth century. The French physician and physiologist Charles Richet, Nobel Prize in physiology (1913) represents the attempt to consolidate a new experimental science known as metaphysics dedicated to the study of unknown phenomena as an alternative to spiritualistic theories. This multifaceted researcher advocates the rigorous study of the strange phenomena based on their knowledge of physiological psychology, a middle course of study located between the spiritualist called scientific medicine and scientific psychology. This paper analyses his biography and his work, the controversies raised by spiritualist current and orthodox medicine on the phenomenon of mediums, linking to the historical study of the genesis and evolution of the concept proposed by Richet, the unconscious intelligence, misunderstood term and relegated to historical oblivion.